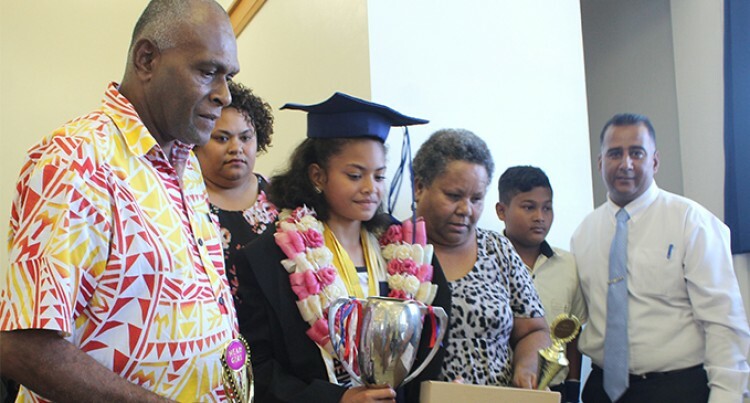 An athlete in the making and a traveller at heart, 13-year-old Ivamere Fifita of LDS Primary School was hailed Best All Around Student during the school prizegiving yesterday. She was also awarded the Sportswoman of the Year. Originally from Veisari, Namuka-i-Lau, Ivamere won a silver medal in the FMF Chow Games this year in the 200-metre sprints, and also represented the school in netball. “For the Best All Around Award, you have to demonstrate exemplary and Christ-like behaviour and I am so happy and proud to have been awarded this,” she said. “It is always difficult to be good but all I can advise other students is to choose the harder right than the easier wrong,” she added. Travelling is her passion and she aspires to be a pilot one day, however she plans to continue her athletics journey for as long as she can. She is the older of two siblings and finds her motivation in her father, Soko Fifita, who is a firefighter.